Agilent Technologies have announced the extension of their Triple Play Analyser (TPA) capabilities to various mobile networks, including UMTS, WiMAX and LTE. TPA from Agilent Technologies combines voice, video and data services monitoring over mobile networks in a single instrument, which eliminates the extra expense of buying a product for each service. The solution's quality of service (QoS) and quality of experience (QoE) tracking and in-depth protocol analysis reduce operating costs by allowing network equipment manufacturers and service providers to identify the root causes of network problems. Agilent Technologies are also introducing their Multiplay Performance Manager (MPM), which enhances the power of TPA by enabling distributed monitoring of IP Video streams across an entire network. With MPM, multiple TPA probes - including TPA software installed on PC-based mobile stations - can feed data from different network locations to Agilent QoS Manager for an aggregated, real-time view based on key performance indicators (KPIs) and for correlated, end-to-end analysis. This accelerates the process of locating and resolving issues, which cuts costs and helps to keep subscribers satisfied. According to Todd Biddle, General Manager, Agilent Technologies, TPA enables in-depth diagnosis and troubleshooting for both control plane and user plane. The solution provides visibility into all levels of protocols. When a subscriber reports service degradation, TPA can drill down to identify the root cause. Users can look at the transport layer, which carries the services. They can see the signalling that sets up a multimedia session and they can test the quality of services at the application layer. This capability makes TPA a reliable solution. The Agilent TPA enables 3-in-1 service quality monitoring for mobile and fixed networks and also runs on Agilent Distributed Network Analyser (DNA) hardware and Multi-User platform which supports other Agilent applications. 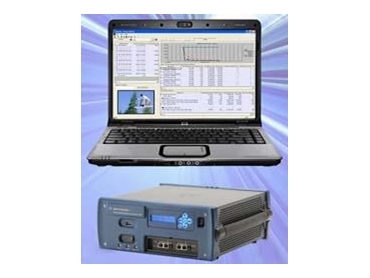 TPA can operate simultaneously with the Network Analyser software for IP Transport troubleshooting, and the Signalling Analyser software, which monitors all the 2G/3G/4G mobile signalling. Agilent Triple Play Analyser, especially when combined with the Multiplay Performance Manager, provides a complete monitoring and troubleshooting tool for companies who develop and install multiplay applications over wireless and wireline networks.